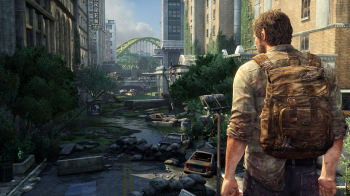 The Last of Us multiplayer won't be tacked on, Naughty Dog claims. The Last of Us, fungal zombies apocalypse game, recently announced it would have multiplayer mode - no details, just that mutliplayer exists - and, as might have been expected, fans were strong both for and against. Arne Meyer, community strategist, did his best to fend off the hordes who claimed that multiplayer would somehow be tacked on, or take resources away from the single player experience. In fact, said Meyer, single player and multiplayer modes would have completely separate development teams, so there was never a question of one leeching resources from the other. This is a strategy that Naughty Dog has used successfully before, Meyer added, with Uncharted. As for it being tacked on, Naughty Dog wouldn't bother with multiplayer if it didn't suit The Last of Us. "We don't develop games or features for bullet points" said Meyer, adding "we make the games we enjoy and we hope you'll enjoy as well." Naughty Dog hasn't announced whether the multiplayer will be co-op or competitive, or given away any other snippets. However there is a release date for this PS3 title now: May 7th, 2013.